Sony has announced a new set of DualShock 4 controllers for the PlayStation 4. They are inspired by the translucent controllers released years back for the PlayStation 1. Now almost two decades later, Sony has launched translucent controllers for the PlayStation 4. 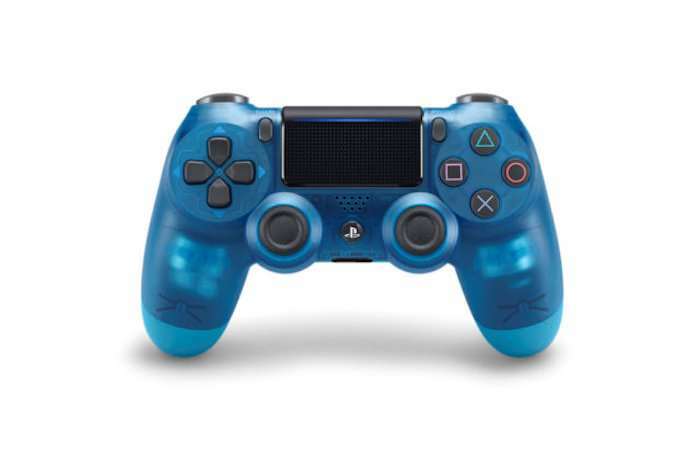 They available in three color versions, and all of these new DualShock 4 controllers are semi-transparent. Nothing else is different about these controllers with the exception of the cosmetic changes. The hardware inside remains the same. Sony had initially announced these controllers for European markets, but the company later confirmed that these new DualShock 4 controllers will also be available to customers in the United States. Sowe won’t have to miss out on these. They come in Crystal, Blue Crystal, and Red Crystal color options. Those in the United States will need to know that the Crystal color option is exclusive to GameStop, Red Crystal is exclusive to Best Buy, and Blue Crystal will be exclusive to Walmart. You will have to hit them all upto get a full set. These controllers will cost you $65 a piece and they’re going to be released for customers in the United States later this month. Sony hasn’t confirmed yet if the new range will be made available in more markets around the world.